Today Logitech announced the Logitech Wireless Touch Keyboard K400 Plus, a living room keyboard that lets you comfortably control your computer screen on your TV. The K400 Plus features a wireless range of up to 10 meters and an integrated touchpad, making it easy to stream movies, TV shows, music and other entertainment on your PC from your couch. 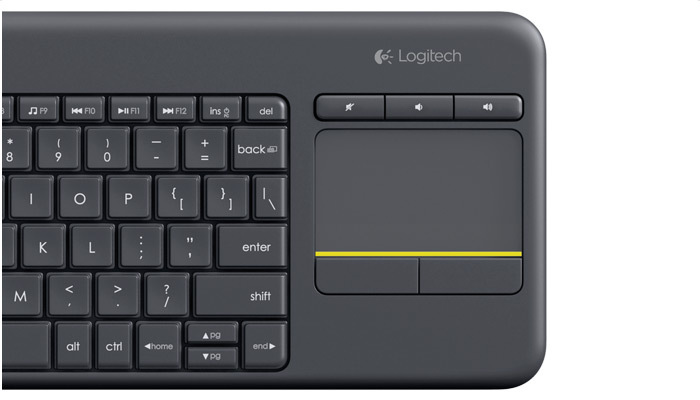 Building off the popular Logitech Wireless Touch Keyboard K400, the K400 Plus features a responsive integrated touchpad with adjustable cursor control, making it a compact all-in-one keyboard and mouse solution. Shortcut buttons give you easy access to volume controls and menu navigation, and the intuitive arrow buttons help you get to your digital entertainment quickly. 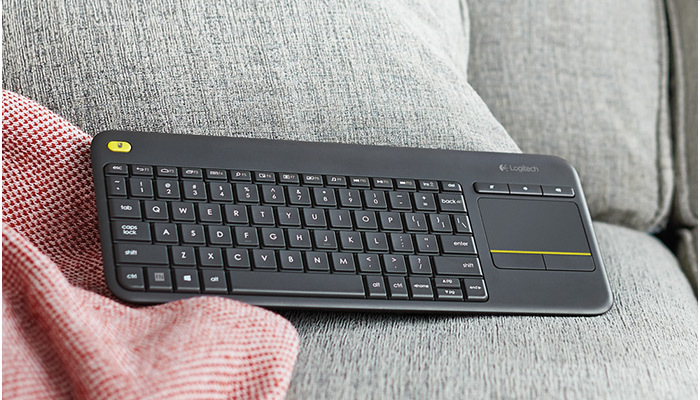 Designed for the modern living room in a neutral grey, the Logitech Wireless Touch Keyboard K400 Plus features a slim design that makes it easy to store and has rounded sides for comfort, making it the perfect keyboard for everyone. With the pre-installed batteries that last up to 18 months, it provides endless hours of entertainment without interruption. The Logitech Wireless Touch Keyboard K400 Plus is expected to be available in the UK in July, for a suggested retail price of £34.99. For more information, please visit www.logitech.com/K400Plus or blog.